James Madison College at Michigan State University, B.A. 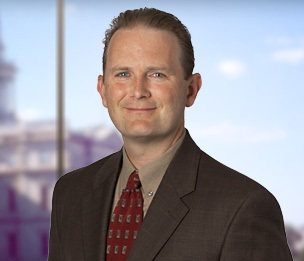 W. Alan Wilk is a member in the Firm's Government Policy practice. His practice focuses on election, campaign finance and lobby law, gaming, and public retirement, as well as nonprofit organizations and trade associations. Mr. Wilk has also consulted and defended public pension plans in federal and state court. Mr. Wilk's practice has also included representing both casino owners and gaming suppliers in regulatory matters before the Michigan Gaming Control Board as a member of the Firm's Casino Team. He also advises those with casino interests on political contribution matters under the Michigan Gaming Act and Michigan Campaign Finance Act. As a member of the Firm's Nonprofit and Tax-Exempt Organizations practice, Mr. Wilk has incorporated hundreds of nonprofit entities, including charities, civic organizations, trade associations, and political groups. He regularly advises these organizations on a wide range of issues, including corporate, tax and regulatory matters. Mr. Wilk has coordinated and conducted internal investigations regarding potential civil and criminal activity for nonprofit and education clients. He is a member of, and regularly consults with, Dykema's Government Investigations and Corporate Compliance Team. Prior to his law career at Dykema, Mr. Wilk was a law clerk for the Telecommunication Association of Michigan. He also served as a staff member in both the Michigan State Senate and the Michigan State House of Representatives. His prior political roles included fundraising and campaign consulting for local, state and federal races. Mr. Wilk has written several articles and has hosted seminars in the areas of election, campaign finance, and nonprofit law. Mr. Wilk has been involved in politics since 1984, and before passing the Michigan Bar, he served as campaign manager, co-campaign manager or campaign volunteer for Gubernatorial, Congressional, State Senate, State Representative and various local races. Mr. Wilk served as counsel for gubernatorial, Secretary of State and Attorney General political funds. He also currently represents the political funds for several state elected officials. He has been involved in several election litigation cases, as well as regulatory matters concerning candidates and ballot question campaigns. He has represented client interests in disputes before the Michigan Department of State and the Federal Election Commission. Mr. Wilk has been local counsel for several presidential campaigns. He has coordinated recounts for Republican, Democratic, and nonpartisan candidates. He has served as counsel for multiple statewide and local ballot proposals. He currently serves as counsel for several candidates and their politically-related entities, nonprofit and charitable organizations. Mr. Wilk worked in the Michigan House and Senate all four years while earning his undergraduate degree with honors from the James Madison College at Michigan State University. During law school at Boston College, Mr. Wilk had an externship with a white collar criminal defense firm in Boston focusing on political corruption matters. Citizens United Against Corrupt Government, et al v. State of Michigan, New Energy to Reinvent and Diversify Fund, et al., 30th Judicial Circuit Court (2013). Defended nonprofit entity against civil conspiracy claim in case related to State Board of Canvassers, City of Detroit bankruptcy and City of Detroit mayoral election. Martin v. Secretary of State, 755 N.W.2d 153 (Mich 2008). Case involved injunction issued against Secretary of State requiring judicial candidate to be placed on ballot. Michalak v. Ruth Johnson. Michigan Supreme Court Case No. 136618 (2008). Successfully defended judicial candidate against attempt to compel county clerk to remove candidate from ballot. MotorCity Casino v. Michigan Gaming Control Board, et al., Wayne County Circuit Court No. 07-726167-PZ. Michigan Court of Appeals Case No. 280898. Enjoined Michigan Gaming Control Board from closing Detroit casinos during state government shutdown. In re Advisory Opinion, 2005 PA 71, Supreme Court Case No. 130589 (2007). Assisted in drafting Advisory Opinion requested by Michigan House of Representatives and assisted in preparing Amicus brief regarding constitutionality of voter identification requirement in Michigan Election Law. Marion, et al v. Saline Township, Washtenaw Circuit Court No. 06-440-CZ (2006). Obtained Temporary Restraining Order enjoining township from placing millage proposal on ballot. Freman Hendrix and Kilpatrick For Mayor v. Jackie L. Currie, Wayne County Circuit Court Case No. 05-53354-AW; Michigan Court of Appeals (2005). Obtained Temporary Restraining Order compelling City Clerk to provide equal access to election records. Michigan Judges Association, et al v Roberts, et al, No. 2:98-CV-72771-BAF (E.D.M.I., 2000). Represented state retirement board against class action lawsuit regarding defined contribution plan and calculation of pension benefits. Ernst v. Rising, 427 F.3d 351 (6th Cir. 2005). Represented state entities in equal protection claims brought by members of judges retirement system. Studier v. Michigan Public School Employees' Retirement Bd., 472 Mich 642, 698 N.W.2d 350 (2005). Consulted for MPSERS on retiree employee benefits case. "Election Day 2006: Know The Facts"